"In the tradition of James Herriot's All Creatures Great and Small and John Grogan's Marley & Me, Tales from a Dog Catcher is a humorous and heartwarming collection about love, laughter, loss, acceptance, and fate, in the world of an animal control officer." ...Writing in a style reminiscent of James Herriot’s All Creatures Great and Small, she recalls her experiences in 22 vignettes that dispel and replace stereotypes with an image of a compassionate individual concerned with animals and people alike. Like Herriot, she is a gifted storyteller and an astute observer.... At times amusing and heart-wrenching, this memorable book deserves wide readership. Highly recommended for public libraries. " I have a story - it's happy and then tragic -then it was okay for a while - but because of some amazing people at the Woman's job - it's now a great story. My name is T-Kitty (that name was chosen by the Man here - I didn't choose it nor did the Woman but it does sound sort of like a cool rap name so I'll keep it). I have my own Facebook Page and 54 friends - some of whom live in other countries because I'm that intriguing. I also have human friends in my neighborhood who don't even know the names of the Woman and Man who own this house. They should get out more. I have very particular opinions about most everything and I love everyone. Really. I was a much loved kitten. I had a Mom - she was an older human but she was great and we were happy. Then one day a white truck with flashing lights came to take her away and she never came back. So I waited. And waited. Then the house became cold- there was nobody to let me in so I moved into the basement since there was a hole in the foundation and I could come and go as needed. The neighborhood humans fed me a lot but they all had dogs who didn't like me so I just stayed in my home waiting for my Mom to come home. I waited for 4 years. One day this other woman comes by in a big car and calls over to me in a snowstorm. I came running over because she looked like she might have snacks and she scooped me up and took me away to another home, but this one was warm and the lights were on and there were a lot of people there who were petting me and feeding me some great food and I fell asleep on some fuzzy blankets. The next morning I had my own bowls filled to the brim and I thought - maybe my Mom wasn't coming home but she somehow sent these people to take care of me. I waited for my Mom for years living in a condemned house in the cold. Now I've lived here in this warm house for 4 years and I have a wonderful new family. I will always love her - but because she loved me so much I am very affectionate and happy and adaptable. 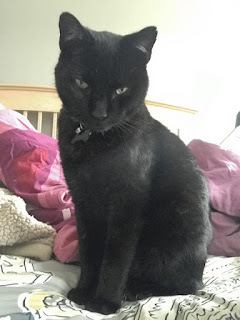 I sometimes give the Man and Woman here a hard time because they need the exercise, but to be honest - I think of them as my new Mom and Dad and Sister and Brother and even a tiny human who is my best friend. It's great to meet you. I have to go have a snack and take a nap. I may go out a bit and run around in my yard for a while since the sun is shining, but I'll be back to chat now and again. This is not a dog story. This is not witty or heartwarming - but it has a happy ending. A happy ending the President of the United States Richard Nixon gave to our family in the form of signing H.R.1 in 1973. He gave me my mother back. And right now there is a risk that Medicare covering people with End Stage Renal Failure could be impacted by our existing administration. So what can I do, a simple writer and teacher. Here is what I can do. I have a platform. A small platform, but nonetheless a platform. And just like celebrities who use theirs for political causes on award shows I'm using mine for the millions of people who are only alive because they have access to dialysis. My Mother told me hours before she died "Make sure they know Lisa - you write it and make sure everyone knows." and I never really knew what she meant by that. What she would want "them" to know? There is so much. And maybe someday I will understand and do what she asked - and in a way maybe this is it? However right now I'm going to use this platform to tell you about my Mother. The short version is posted on facebook to generate support for passing H.R. 3976. The longer version - the story of my Mom and our family and how we almost lost her is here. I will send this link to the House in hopes that a story of pain and death and loss was changed for a story of life by another H.R. Bill in 1973. That they can act with compassion as well and the best parts of their humanity may be affected somehow by my story. A story they can also be the heroes of that voted for my Mom's life 45 years ago. 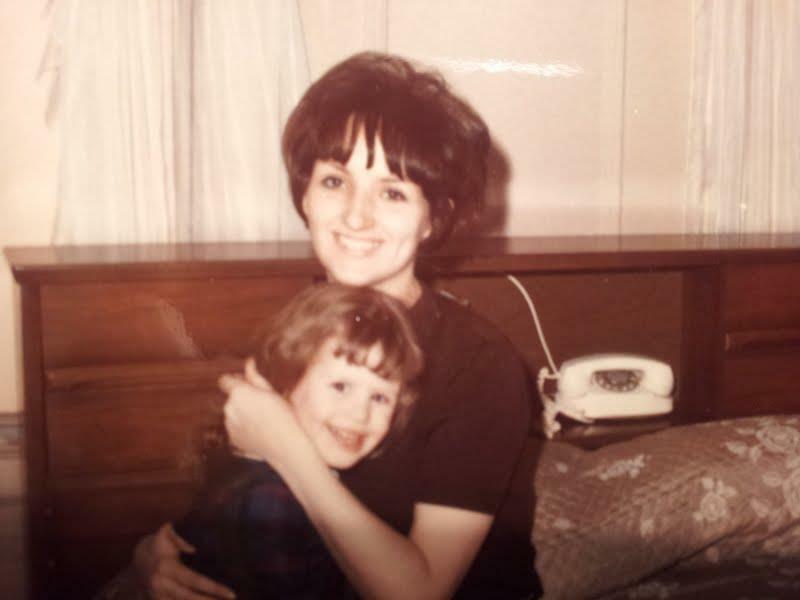 In 1972 my Mom's kidneys finally began to fail. She was 28 years old. The doctor sent her home to prepare to die, but she'd known they were failing since she was a young teenager and was able to adjust her diet and liquid intake and live on 10% less kidney function for years. She'd make it last again. In the following months it became clear that she was running out of options. In 1973 at the age of 29 she ran out of time. They prepared my Dad for her death, how he would know it was imminent, what he could do, how it would look, how long it would take, how he should keep me away from her in the last stages because it would frighten me, (she would seize, it could be months or days, she'd hallucinate, she'd swell from uremia, she'd no longer recognize me, she'd gasp for breath, she could become combative - death from kidney failure is not a peaceful death unless you're medicated into unconsciousness which didn't seem like an option in the 1970s). Let me reinforce one thing here. She was a 29 year old beautiful talented young woman, wife and mother, healthy in all other ways. Dialysis existed. It would save her. It was too expensive. She starting furtively writing me urgent notes with handwriting that looked like scribble, hiding them for fun and telling me I could read them later "like a scavenger hunt in the future" she said. She finished sewing costumes for my school play because my teacher said "She doesn't look sick and you promised". They did not want my teacher to know the entire story since she could speak out-loud about it in front of me and I'd hear things they didn't want me to know - and they didn't trust her. There is a special place in hell for that teacher. 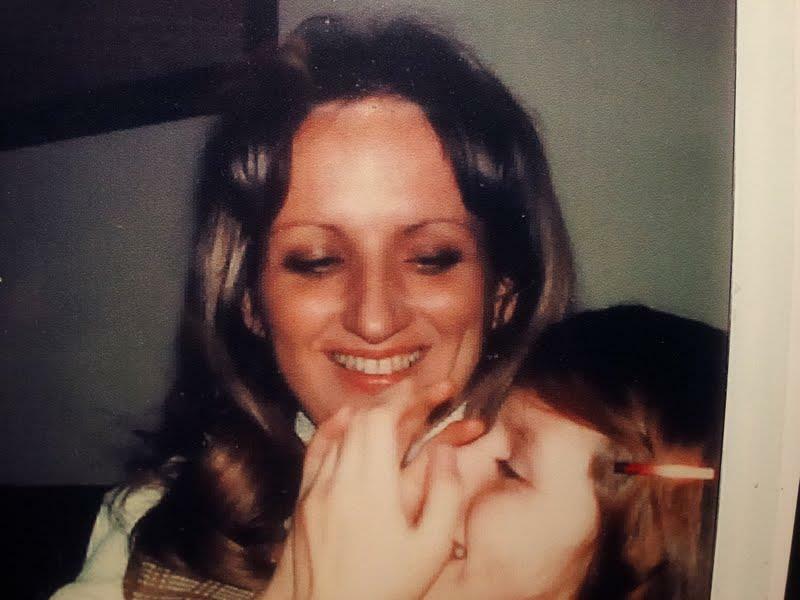 My Mom taught me all about things that Moms usually wait to talk to their daughter's about when they're young teens. She left tiny notes in my dollhouse for me to discover over time, supposedly written by the characters from "The Borrowers", my favorite book at the time, that would explain that they were going to be there to watch over me for my Mom as long as I needed them. She made my Dad stock up on books - all the James Herriot's - made him promise to get the Stephen King's when they came out. They'd read them together on Friday nights at our house. I had joined in moving up from children's to adult books. It was sometimes silent in my apartment on Friday nights - all of us quietly reading. Those are my favorite memories. They tried to help prepare my Dad to discuss it with me but he couldn't. He thought he'd be able to fix this somehow. Our extended family tried to help but they both pushed them away. This was something they both agreed on - that this experience was going to be private, that everything be as normal as it could be until it no longer was. I'm sure they were frustrated because everyone knew something was wrong and wanted to help - I know they were but it was intentional on their part. I only learned that a few years ago as an adult when my father told me this. They deliberately isolated us from friends and family as best they could. They didn't want me to hear anyone who might accidentally speak about it. They were going to hang onto normal as long as possible. One night it no longer was normal. An ambulance came. A day later my father brought my mother home and she went into her bedroom and didn't come out anymore. My father paced back and forth and kept calling people. I begged him to let me go in the bedroom and I'd hear her shout no from down the hall. I heard moaning and crying and talking that made no sense. My Dad told me she was having a nightmare and sent me outside to play. I sat in the hallway in the building and listened. I listened to him trying to comfort her and and her screaming out and then crying. I listened to my father cry. I found out later they'd sent her home to die. My father was panicking and called my grandfather's doctor who had started to regularly call him after a visit with my Grandfather and had been very insistent on knowing more about my mother. He knew that we needed help now that the reality of it was upon him. He called, relatives came for me. That doctor came right away to our house in the middle of the night and called several people at Westchester Medical Center. (formerly known as Grasslands in Valhalla, NY), The ambulance was taking too long, He picked her up and drove her in his own car to Westchester County Medical Center. H.R.1 had just passed and it was 1973. A miracle had happened. The President had signed into law that kidney failure at any age requiring dialysis be covered under Medicare. It was almost too late for her, but she was a survivor. It should've been too late at that point in uremic poisoning. She was in systemic organ failure by the time she was in the ICU. There was more than one miracle in those chaotic weeks. For this to be turned back at this day and age - or limited in some way so that the government can save money on dialysis patients is beyond reprehensible to me. You may ask if we had insurance? Yes, we did. Good insurance from my Dad's job at a bank but my mother had a "pre-existing condition". They wouldn't pay. It covered him and it covered me. It would not cover her in anyway. So we never bought a house or went on a vacation or did many things families did because my parents chose life. And life is expensive for a person with kidney failure. So they knew that this was a waiting game, to live in the moment and hope for a miracle. Life is hard for many people - living under a toxic cloud of fear impacted them both irreparably - all of us I believe. As much as I was deliberately kept from the information as much as possible, I was a smart child. I knew something was wrong and I pretended for them that I didn't. I overheard things I never shared with them. They needed that. Dialysis costs are more than the treatment. There are the medications, the tests, the equipment, the transportation. Life changes - and all of it costs. If you are fortunate enough to get a transplant the drugs are not always covered under Medicare. If you actually own a home or have any assets then be prepared to liquidate. Things may have changed in years since under Obama's no longer allowing pre-existing conditions clauses in insurance. I do not believe that is something we can rely on anymore. Things you expect to keep you safe, alive - are being attacked daily. And we all sit here and wait thinking "Well they can't do that". I'm sure in Germany in 1935 many people sat in their homes feeling safe thinking "Well surely they can't do that." This is long. You may not share my politics. That doesn't matter. What matters here is that these are our families through no fault of their own relying on dialysis to continue living, being parents, children, employees, spouses, friends. I apologize for the length of this but felt compelled to share this. This is my small platform - and I'm using it. I do this for anyone and everyone who has been down the road my family has - some of us know each other in real life and on FB. I share this in support of my Mother. 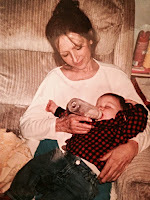 Kathleen Rita Finnell Duffy 1941-2003. Those numbers cause me a great deal of pain - but it's the dash between them that makes the difference. The dash that included wonderful memories, elementary school graduation, middle school dances and concerts, much needed motherly advice, having my friends know and confide in her, my cousins hanging out with their Aunt Kathy - the cool Aunt who tried to keep them out of trouble, (and sometimes got them in trouble), high school and college graduations, holidays and laughter, tears and long discussions, advice on raising her two grandchildren and never to wear lilac and moisturize more , the opportunity for my children to have a memory of their grandmother...and I had a Mom. Too much to write here Because We. Had. More. Time. in 1996. They got to know each other. 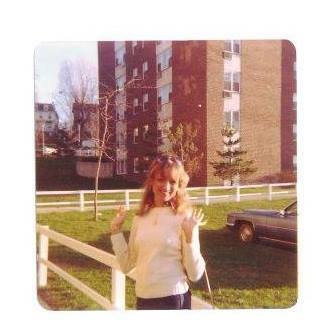 Kathleen Rita Finnell Duffy 1941-1974. The dash made all the difference. In support of everyone living with ESRD and in memory of all who lived courageously for as long as they could with it. In Memory of my Mother Kathleen - the longest surviving continuous dialysis patient in New York State. "Sure" he says. "Let's go Crazy." 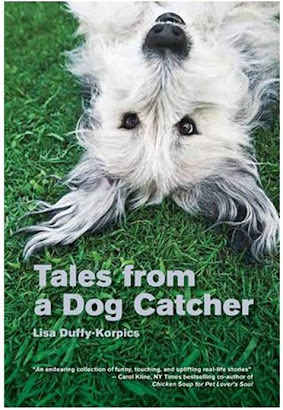 "Tales from a Dog Catcher is a satisfying and endearing collection of funny, touching, and uplifting real-life stories of people and animals that will leave you feeling more confident in the power of goodness in our lives. Lisa Duffy-Korpics has hit this one out of the park!" -Carol Kline, NY Times Best selling co-author of Chicken Soup for the Pet Lover's Soul, Dog and Cat Lover's Soul, Dog Lover's Soul, Cat Lover's Soul, Mother's Soul 2, Ultimate Cat Lover, Ultimate Dog Lover, and Happy for No Reason, and the recently released Love for No Reason. Publisher: Lyons Press, an imprint of Rowman & Littlefield; formerly Globe Pequot Press. Lisa is a writer and a high school teacher. Previously, she was an animal control officer. Her stories have appeared in Chicken Soup for the Cat & Dog Lover's Soul, Cat Lover's Soul, Dog Lover's Soul, New Mom's Soul, Mother's Soul 2 and several other Chicken Soup books including several books in the recently released "Best of Chicken Soup" series. She lives with her husband Jason and her rescue cat "T-Kitty" who has his own facebook page, in Orange County, New York. Her two grown children and grand daughter live nearby. 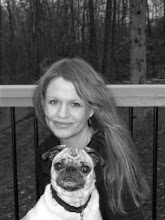 Her first book, Tales from a Dog Catcher, published by Lyons Press was released on April 1st 2009. Tales from a Dog Catcher went into a third printing in July 2009. The sequel is currently in progress and will be available soon. Could Bella Be Your Own Emotional Support Dog?